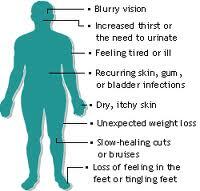 Diabetes insipidus is one of the Main chronically diseases of Pituitary Glands. A disorder in which deficiency of antidiuretic hormone (ADH, vasopressin) leads to excessive output of urine containing no sugar. It is caused by the failure of the posterior lobe to produce ADH because of trauma, infection, neoplasm, or inherited pituitary disease. Diabetes is the most common endocrine disorder encountered in clinical practice. Diabetes is a condition where there is inadequate insulin in the body for the patient’s metabolic needs. Metabolism is a term that describes the means by which the body handles the variety of nutrients taken in from a dietary source. Fats, proteins, and sugars are absorbed and transported to the liver for initial processing. In that organ, these nutrients are either stored, broken down, shipped out for use by other organs, or changed in some way to meet later nutritional needs. This factory-like process is controlled by the availability of the nutrients and by the hormones bathing the liver, including insulin, glucagon, and epinephrine. In addition, these hormones have effects on the manner in which distant organs, such as muscle tissue and fat tissue, handle the available nutrients. An inadequacy of insulin can come about for at least two important reasons. There simply may be very low levels of insulin circulating in the blood stream. This occurs when the pancreas has been damaged, since the islet cells of the pancreas are responsible for secretion of insulin. However, another mechanism that may lead to insulin inadequacy is insulin resistance. This occurs when, despite adequate circulating levels of insulin, the target organs for insulin’s action (liver, muscle, fat) are not responsive to the circulating insulin levels. Insulin (and other hormones) works by binding to a specific receptor on the surface of its target organs. However, binding to the receptor is only the first step in insulin action, and it has now been determined that a so-called “postreceptor”defect is also present in diabetes, further reducing the cell’s ability in diabetes, further reducing the cell’s ability to respond to insulin’s signals. As diabetes develops, blood sugar may rise from its normal levels of 70 to 110 mg/dl fasting and 150 mg/dl or so following meals. Early rises in glucose levels may be unnoticed by the patient and the physician, but by the time the sugar rises to greater than 180mg /dl, symptoms may occur. At blood levels higher than this, the so-called renal threshold is exceeded, and sugar excretion in the urine is seen. Increased urine sugar (called glycosuria), works like a sponge, drawing increased amounts of water into urine production, leading to excessive urination. This finding, called polyuria, is the cardinal and classic sign of poorly controlled diabetes. Continued excess urination leads to progressive dehydration and often a dry mouth. These symptoms compel the patient to drink increased fluids, a symptom called polydipsia. Although the patient may think that the increased drinking is causing urinating, the situation is the other way around! Further dehydration can lead to complaint of blurry vision as fluid shifts from the lens of the eye. Fatigue may ensue, as does weight loss–initially to the joy of the patient but eventually clearly out of proportion to the degree of patient need. The weight loss is largely because of excessive loss of fluid, salt, and potassium, and other essential minerals. Weight loss may continue despite increased eating, called polyphagia. The classic “polys”of uncontrolled diabetes (polyuria, polydipsia, and polyphagia) were described by the Greeks 3000 years ago. Numbness and tingling in fingers and toes. Patient must be treated with insulin Patient may be treated with insulin. Insulin levels are very low Insulin levels may be high, “normal,”or low. Often little family history of diabetes mellitus Often strong history of diabetes mellitus. Diabetes is divided into two clinical types: Type I and Type II. Type I diabetes is insulin-dependent diabetes(IDDM). These patients must be treated with insulin to preserve life. The problem in metabolism is secondary to very low circulating insulin levels caused by an essentially nonfunctioning pancreas. .The typical patient with Type I diabetes is young, hence its former term juvenile-onset diabetes. The patient is often thin and may present to the physician in diabetic ketoacidosis. This patient usually is given multiple shots of insulin to control the metabolism. Type II diabetes is by far the more common form. This is noninsulin-dependent diabetes(NIDDM). Implying that the patient has some internal insulin. Some of these patients have, in fact, high levels of insulin, but because of their profound insulin resistance, the insulin is unable to do its job in controlling their metabolism. These patients may be treated with weight loss, diet , exercise, pills (oral hypoglycemic agents) and, if necessary , insulin. However, treatment with insulin does not make them Type I or truly insulin-dependent, a concept that is sometimes confusing to the general physician. 80% of Type II patients are overweight, and the often have a strong family history of diabetes. Blood sugars that go out of control slowly may be associated with very few symptoms. However, a few situations in diabetes lead to rather severe symptoms and may present as true emergencies. The first diabetic emergency, hypoglycemia, occurs when the blood sugar goes too low. 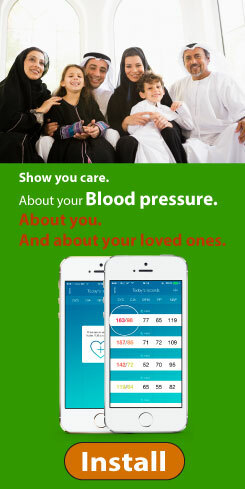 This is seen only in patients who are known to be diabetic and are undergoing treatment. Maintenance of normal blood sugar requires a balance of the proper amount of insulin to balance the patient’s calorie intake. If too much insulin (or oral agents ) is taken, the blood sugar falls to low levels. This causes the body to secrete epinephrine, a hormone that can raise the blood sugar. The epinephrine discharge gives the patient symptoms of heart palpitations, sweats, lightheadedness, and nervousness. If this discharge is inadequate to raise the blood sugar, or if the sugar falls extremely fast, the patient may also have symptoms related to a decrease in glucose to the brain, including mental dullness, sleepiness, and even coma. This form of diabetic coma is treated by the addition of glucose, orally in the early stages or by addition of glucose, orally in the early stages or by intravenous injection by paramedics if the patient is comatose. It can also be treated by a simple subcutaneous injection of glucagon, a pancreatic hormone that raises blood sugar. This is commonly done by the patient’s parents or spouse at home. Another diabetic emergency can occur in patients with TypeII diabetes, either at initial presentation or during a period of markedly inadequate insulin care. In this circumstance, there is inadequate insulin to control fat metabolism, and the increased burning of fat leads to production of excess ketones. Ketones are normal products of fat metabolism, but since they are acids in the body, they can cause problems if they are present to a high degree. The acidosis that may come from increased ketone production leads to nausea, vomiting, abdominal pain, and peculiar form of hyperventilation called Kassmaul’s respirations. Patients with symptoms of abnormal fat metabolism also have marked signs of abnormal glucose metabolism and complain of extreme thirst, dehydration, and the “polys” of uncontrolled diabetes. This patient, often a child, is in diabetic ketoacidosis, the classic presentation of Type I diabetes. A less common diabetic emergency, but one with even greater significance, is so-called hyperosmolar coma, or hyperosmolar hyperglycemic nonketotic diabetic coma (HHNK). This can occur in patients with Type II diabetes who have some insulin circulating in their body. The maintenance of some small level of insulin prevents these patients from making excess ketones when their diabetes is uncontrolled, but, if they are in a setting where they cannot adequately hydrate themselves (such as in a nursing home), slow, progressive, and profound dehydration may occur. After weeks to months of continued dehydration, such patients’ blood sugars may be as high as 1000mg/dl. Prompt treatment of this condition is imperative, but it may still be associated with a high mortality rate of up to 50%. This is especially significant compared with a mortality rate of less than 5% in diabetic ketoacidosis. The ultimate challenge in diabetes care is to prevent the long-term problems that may effect the health of the patient dramatically. These complications fall into three major categories. Macrovascular complications involve large blood vessels that carry blood to the major organs of the body. These vessels are lined by layer upon layer of cells, and deposits in this layer that are indistinguishable from the arteriosclerosis seen in the general population occur in diabetic patients. The diabetic patient may develop this arteriosclerosis at an earlier age and may have more diffuse problems in the body, but the pathologic changes appear to be the same. The most common clinical problems associated with macrovascular chronically diseases involve the peripheral vascular system, that is, the vessels that carry blood to the arms and legs. As the circulation to the legs is progressively impaired, patients may develop a symptom complex known as intermittent claudication. In this syndrome, the patient has no pain at rest because the blood supply to the legs at rest is so minimal and easily provided by even diseased arteries. But when the patient begins to exercise, the increased blood flow cannot be provided to peripheral muscles. The patient then complains of pain in the legs with exercise and pain that disappears at rest but returns with further exercise. If this peripheral vascular disease progresses further, pain may occur at rest and may compromise the blood supply to the legs at rest is so minimal and easily provided by even diseased arteries. But when the patient begins to exercise, the increased blood flow cannot be provided to peripheral muscles. The patient then complains of pain in the legs with exercise and pain that disappears at rest but returns with further exercise. If this peripheral vascular disease progresses further, pain may occur at rest and may compromise the blood supply to distal areas of the feet. Ultimately, gangrene of the toes may set in, leading to the risk of amputation. Other macrovascular problems in diabetes involve deposits in the coronary arteries, the arteries that supply blood to the heart muscle itself. This may lead to angina or myocardial infarction. Similarly, arteriosclerotic deposits in the cerebrovascular system can lead to strokes and transient ischemic attacks (TIAs). Unlike macrovascular changes, which occur in the general population as well as in people with diabetes, the microvascular (or small blood vessel ) changes are seen only in the diabetic population. These changes occur in very small arterioles and capillaries and involve thickening of the membranes in the walls of the capillaries, loss of some of the capillary-supporting cells, and outpouchings (microaneurysm) of the capillary wall. Although these microvascular changes may be found in many places in the body under the microscope, they are likely to cause clinical disease in only two organs, the eye and the kidney. The retinal circulation located at the back of the eye is prone to microvascular changes leading to diabetic retinopathy. Two forms of this complication occur. The most common is background retinopathy, associated with leakage of blood (hemorrhage) or fat exudates in the retina at the back of the eye. Further changes lead to retinal edema (more serious when it involves the macula, the area of the retina providing our most precise vision) and microaneurysm, which may be seen by the physician as red dots on the back of the eye. Although background retinopathy is very common, it is less likely to lead to visual loss than the severe stage called proliferative retinopathy. In this situation, new blood vessels grow (proliferate) in the back of the eye and may grow out of the plane of the retina into the body of the eye (vitreous hemorrhage), which obstructs the patient’s vision to a considerable degree. Following bleeding, vitreous scar tissue may form and, if this is attached to the retina, the retraction of the scar will lead to a retinal detachment, seriously worsening the vision. Another microinvasive manifestation of diabetes is diabetic nephropathy, or kidney disease. Due to the apparent leakiness of renal capillaries, one of the earliest findings in diabetic kidney is protein in the urine. (This manifestation, called proteinuria, may be seen in other kidney disorders as well.) Proteinuria can be measured in a random urinalysis or in a 24-hour quantitative urine specimen. In recent years, new methods of measuring very small amounts of protein in the urine have been introduced into clinical practice. One test, called microalbuminuria, allows measurement of protein leakage some 10years before the standard tests can do so. Microalbuminuria may be expressed as a concentration, milligrams per gram of creatinine, or as an excretion rate, micrograms per minute. The latter may be obtained either from a 24-hour urine specimen or a timed overnight specimen. Microalbuminuria or other measures of mild protein excretion may be seen in up to a third of patients with diabetes in the first decade of the disease. Some patients progress to macroalbuminuria in the second decade and are then at risk if significant decrease in renal function. The remaining important complication that can be seen in patients with diabetes is diabetic neuropathy. Effects on nerve function in patients with diabetes may occur because of changes in cellular metabolism and buildup of toxic substances derived from intracellular glucose. The most common manifestation of diabetic neuropathy is a symmetric sensory polyneuropathy. This condition can give the patient numbness and tingling in fingers and toes and may even proceed to increasing discomfort with burning and pain or a progressive diminution in nerve sensation over time. Other manifestations of neuropathy include so-called mononeuropathies, which can lead to isolated painful nerves or to decreased function in certain cranial nerves. This can lead to difficulty in eye movement or in a Bell’s palsy picture with a partially droopy face. The remaining form of neuropathy is autonomic neuropathy. The autonomic nervous system controls a variety of relatively autonomic functions, including dilation of the pupil of the eye, proper control of the sweat glands, proper swallowing and digestive movements and orgasms and erections. Postural hypotension, with decreased blood pressure on arising, is another manifestation of autonomic neuropathy and may be associated with increased risk of cardiac problems and sudden death.